Space plants about 12 inches apart down a row. Cover all roots but keep the middle of the crown (the central growing bud where the leaves begin to emerge) at soil level. Fertilize with a balanced fertilizer when planting, then add compost and fertilizer every spring. In late fall, mulch with straw for the winter (that’s where the “straw” in “strawberries” originates). Pull back mulch slightly in spring. 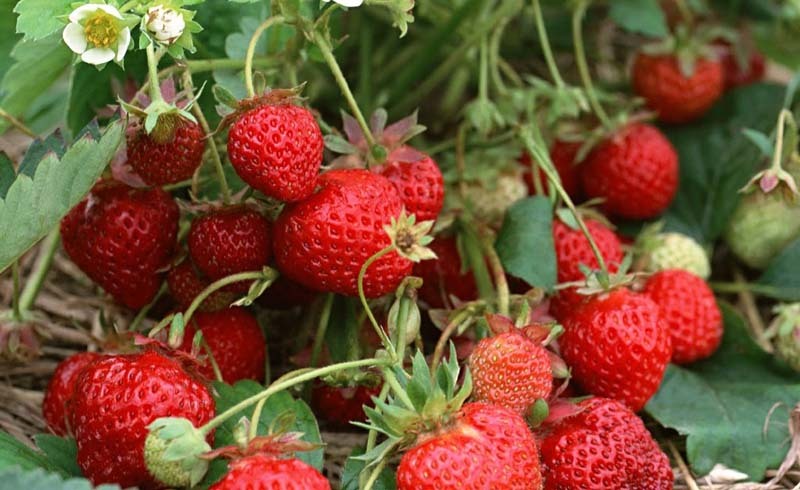 Keep moist and weeded because strawberries don’t compete well with weeds. Strawberries are perennial and will come back every year, bearing fruit for several years. Although you’ll get some fruit the first year, pinch off flowers and let the plant put its energy into establishing sturdy roots for a healthier plant. You can harvest berries the second year. Can you grow strawberries from seed? Yes, but it’s painfully slow. Go with plants instead. While you may be able to get cuttings from your neighbor’s garden from the runners, or little shoots that berry plants send off, you may end up with any viruses those plants harbor, too. It’s safer for your garden to purchase certified disease-free plants from a local nursery. 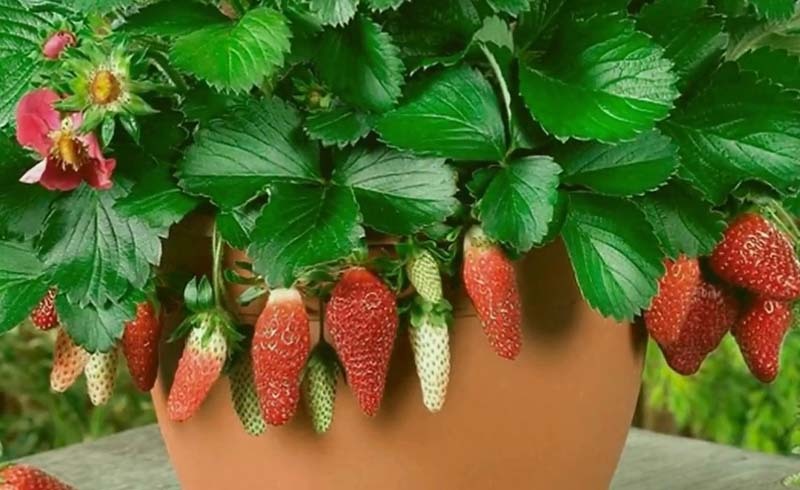 Can you grow strawberries in containers? Yes! If you don’t have room in ground, they do very well in containers of all sizes on your patio or deck. But keep them watered because containers dry out faster than in-ground plantings. When are strawberries ready to pick? When berries are red but before they turn dark red and lose their glossiness. Consider covering plants with black poly netting or row covers to discourage your friends, the birds, chipmunks, and rabbits (who adore fresh berries as much as you do) from harvesting them before you do.